For the next few days, I will be showcasing the Floral Frames stamp set and co-ordinating Foliage Frame Framelits. Isn’t this one just beautiful? Attach a piece of Tranquil Textures Designer Series Paper to the lower half of a Soft Sea Foam card base. 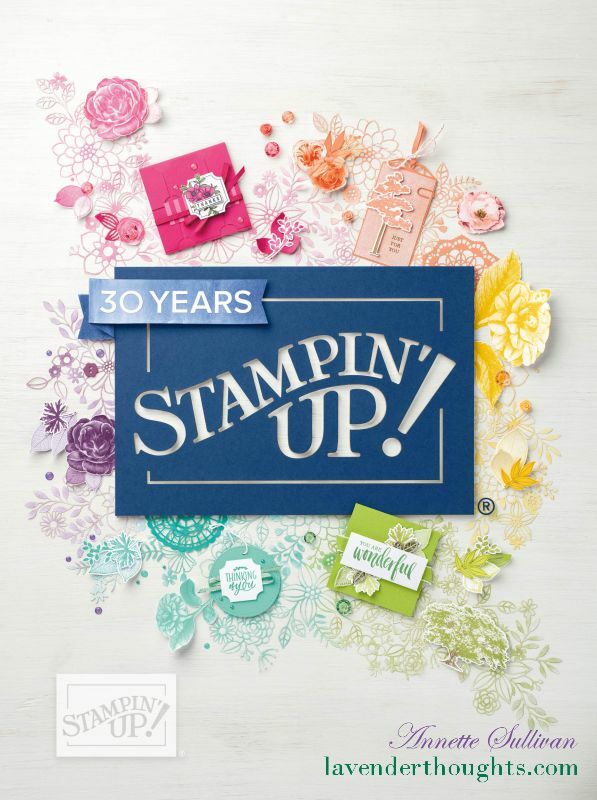 Stamp the small leaf image randomly tone on tone on the upper half of the card front. Add a thin strip of Tranquil Tide to the top of the DSP. Stamp the leaf frame on a scrap of Whisper White with Tranquil Tide ink and die cut with the matching Framelit. Stamp the three flower image on a scrap of Whisper White with Fresh Fig ink and die cut with the matching Framelit. Stamp a sentiment in the leaf frame using Soft Sea Foam ink. Die cut two each of the three leaf dies using Mint Macaron and Soft Sea Foam cardstock. Emboss the die cuts using the Embossing Mat in the Big Shot. Attach the leaves to the back of the leaf frame and the flowers to the front of the leaf frame. Add the frame to the card front with Dimensionals.